Randy Ambrose has penned scores of love letters to his wife, but she's never seen them. 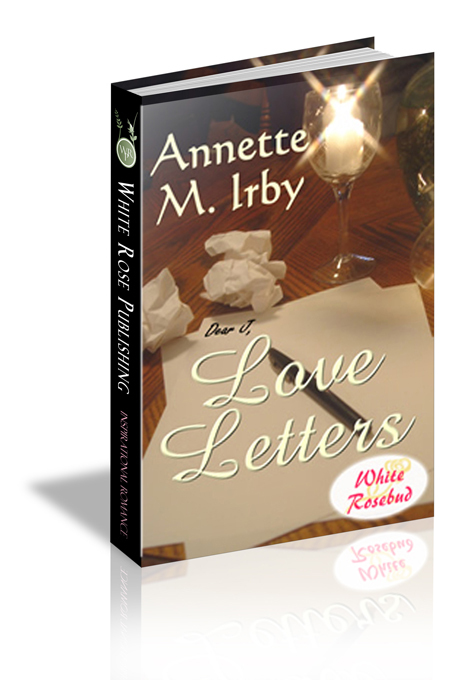 He fears she won't receive his affections, and her rejection would destroy their marriage. He also fears strong emotions, including passion. For ten years, he has kept his heart hidden. Jordan Ambrose is trying to pretend Randy's emotional distance doesn't hurt. She has erected walls to protect her heart. When she finds a box of ardent letters written from R to J, she hopes they're to her. Randy has some explaining to do, and their tenth wedding anniversary is right around the corner. Can he rescue his marriage by taking an unprecedented risk and making a crucial confession? Randy Ambrose pinned his cell phone against his shoulder and kept typing. Carl must really be agitated to break their “no-calls-on-Sunday” agreement. “I need that first draft by the twelfth, Randy,” his editor reiterated. “Thanks, I really hope so. We’ll be in touch.” Carl hung up, freeing Randy to get back to typing. The deadline loomed as he struggled to keep his fingers on the keyboard. If he didn’t meet this cut-off date, he’d be facing Carl’s wrath and the disdain of the decision makers at JC Press. They were the first book publisher to give him a chance. He had to impress them. Weariness came over him as he rubbed his temples. He could do this. He had to. His family was counting on him. She looked agitated, or he’d offer her a grin. But her usual dimpled smile wasn’t in place this morning and her blue eyes lacked their customary sparkle. Her golden brown hair hung over her shoulders in waves, caressing the sweater he’d given her over the holidays. Blue was definitely her color. She pulled a jacket over her slim shoulders. “I know.” She finished buttoning her coat. “After the twelfth, things will calm down again,” Randy assured. Then, maybe she’d relax a little. Silence wedged its way into the van with them as Randy backed out of the driveway. “Until the edits come back, anyway,” Randy admitted. Randy spent the rest of the drive reworking his latest plot elements in his mind. He glanced at Jordan a couple of times. She faced the window, presumably watching the scenery whiz by. They rolled into the parking lot of New Walk Church, and Randy held the door as the kids tumbled out. “We’re not even late,” he noted. Jordan offered no response as she pulled her supplies from the back of the van.